Enhance your event with our fun novelty smiley face bubbles...This item features a delightful bottle with a smile face on one side; logo can be printed on opposite side...The bottle contains bubble making liquid and there's a bubble stick attached to cap. 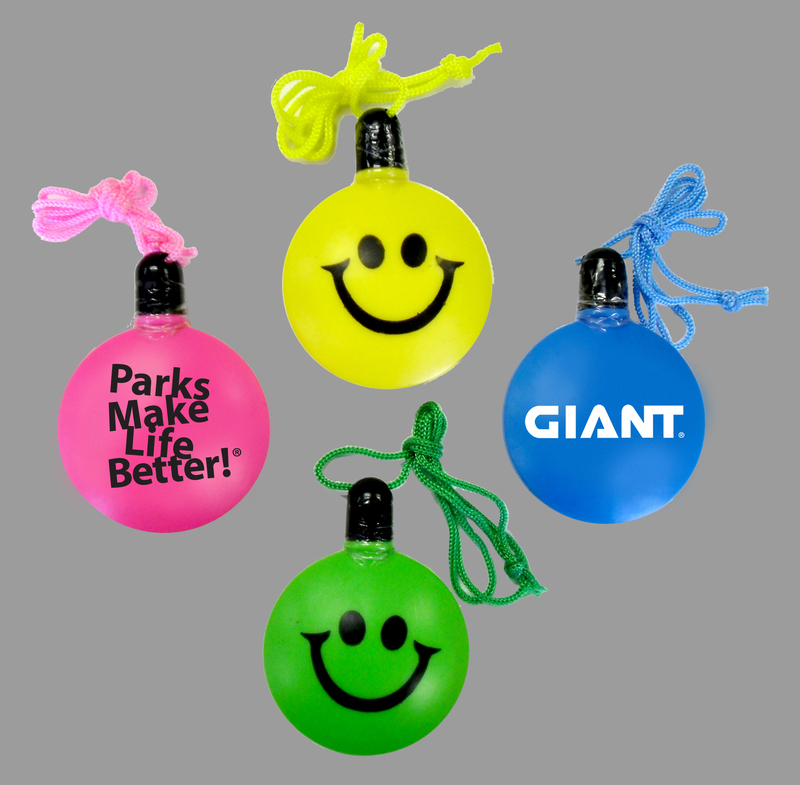 Bubble bottle has a diameter of approximately 2 1/2''...Sold in assorted colors; yellow, blue, green and pink with smile face pre-printed on one side...Your logo will be placed on the opposite side. Eco friendly, made from 100% recyclable materials. 1.2 ounces of liquid bubble in bottle. Bottle Size: Height 3 1/4", Diameter 2 1/4"
Case Pack=288 Pieces Case Weight=34 Lbs Case Size Approximately 23" x 15" x 10"